How SaaS companies in Barcelona can successfully expand internationally? The topic if SaaStock Local Barcelona opening event is about internationalization, which in our opinion is the ideal theme to start the local edition of SaaStock in a city like Barcelona. Note - This event will be in English. Javier Darriba (keynote speaker) will be sharing his story scaling UserZoom, one of Spain's largest SaaS companies which expanded to the UK and throughout Europe. Javier also brings his unique insight as founder of SaaS Academy, experts in SaaS sales and process development. Juan Zamora, co-founder and CEO of Signaturit, will contribute to the discussion with his point of view regarding the highways and blockers a company can find on its way to new markets, a moment in which Signaturit is right now, heading fast towards conquering Europe. Alex Bisbe, co-founder and CEO of Wishbi, a conversational sales & marketing platform for enterprises that is also in the midst of its expansion in the US. Alex experience will be very interesting for those companies who also would like to grow their businesses on the biggest market of the other side of the Atlantic. Oriol Juncosa, co-founder and managing partner from Encomenda VC, will also be joining our panel discussion. 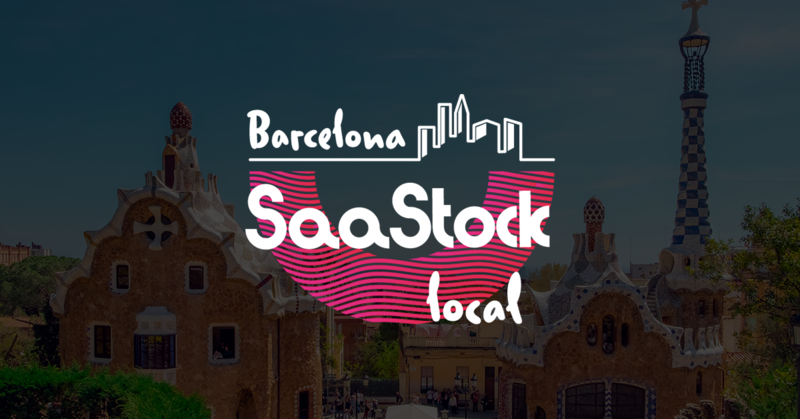 Set to be a great evening, we're looking forward to connecting the local ecosystem at this opening event for SaaStock Local Barcelona. We’re offering a discount code on tickets for our first event. Just enter ‘Signat40’ at checkout for 40% off. Special thanks to the main sponsor of the event, Movistar Center, for hosting SaaStock Local Barcelona.